Over 200 years ago, America's foundation was built around one belief. Since that time, our entire country continued to grow into the greatest Nation in the world -- and the most diverse. With one, undeniable common denominator which symbolizes good over evil as the fuel which powers our nation's dynamics and cohesively unites all. The words are simple: IN GOD WE TRUST. This sheet of 8 stamps, repeated 8 times (64 stamps) on each sheet, graphically depicts and preserves our Nation's heritage and National Creed. 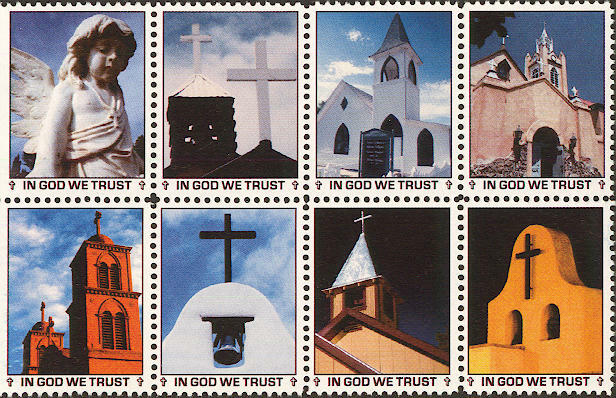 In God We Trust SeTenant Sheets are printed and pinhole perforated in the USA by The Olathe Poste on super high gloss, clay-coated dry-gummed paper (moisture activated adhesive). Display your pride in America on every piece of mail you send! 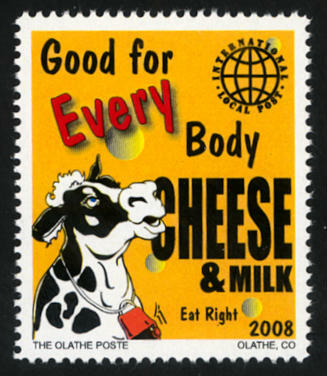 Photography & stamp design by W. C. "Bill" Porter. Note: Informative technical data sheet describing stamp images is included with each order, absolutely free! 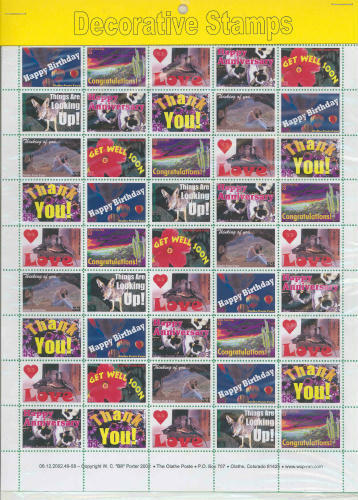 Stamp sheets are packaged in protective plastic with stiffeners to ensure they arrive to you in mint condition. 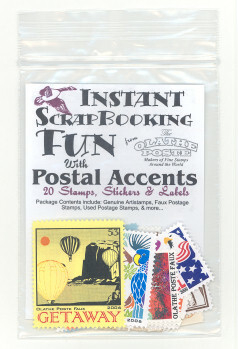 These stamps are for decorative purposes only and have no value as postage. Thinking about a fund raiser for your church or civic organization? Special quantity discounts are available. Call for more information. This product was added to our catalog on Friday 04 February, 2005.